Our expert Engineers will help you choose the most suitable high quality boiler for you and your home, installed to comply with all Gas Safe and current building regulations. These energy efficient systems could help you save more than £300.00 per annum on your energy bills. We arrange a convenient day and time to suit you, both for your survey and your installation. We offer a free in-home, no obligation quote, with fixed prices so you won’t have any unpleasant surprises. Quick and high-quality installation from our friendly, accredited Gas Safe/OFTEC registered Engineers. Our boilers have manufacturer warranties of up to 10 years for your peace of mind. All Engineers are respectful to your property – they use dust sheets, feet covers and vacuum cleaners to ensure we leave your home the way we found it, only warmer!! Our work is only complete when we know you are 100% satisfied with your installation. As part of our aftercare service we will ensure your boiler is registered with Gas Safe and with the manufacturer to ensure you receive the full warranty with your product. We provide a full range of power flushing services to ensure your system is operating as efficiently as possible. 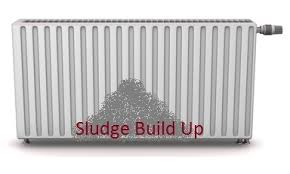 Sludge in your heating system can cause blockages and corrosion which can lead to both inefficiency and breakdown. 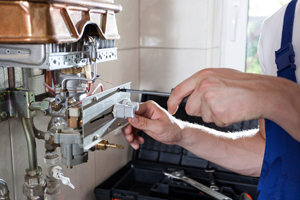 In extreme cases, it can be so damaging that a complete boiler replacement is needed. It can also mean that the radiators on the current system will not heat up correctly, you will notice cold spots and the radiator would be cold at the bottom. The process includes a chemical that will remove sludge and rust, a descaler to remove limescale and a corrosion inhibitor to help prevent future rust from forming. Our engineer will collect and dispose of any contaminated water, debris or particles that they remove from the system. If a filter isn’t fitted, we will fit one to help protect the current boiler. It is very important and indeed a condition precedent to maintaining a manufacturer's warranty, to have your appliance serviced annually. It can help identify problems before they get out of control and it gives you an idea on how efficient your appliance is. Poorly maintained or faulty boilers can present a serious health risk to you and your family, because they can cause fatal carbon monoxide poisoning. Our engineers are Gas Safe registered and trained to work on Natural Gas and LPG domestic housing, caravan and static homes. Our engineers are OFTEC registered and fully qualified and experienced in the regular maintenance of all Oil boilers. We can supply, install and service any type or brand of oil boiler. Some of the more common makes and models are; Worcester, Grant, Trianco, Viessman, Warmflow and HRM. As with any type of central heating, boilers need regular maintenance to ensure they're running correctly. A faulty boiler can not only waste hundreds in inefficient fuel usage, but it can also be dangerous. 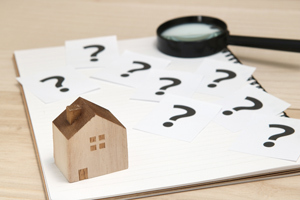 If you are looking to upgrade your existing central heating system in order to increase energy efficiency, Dongard can assist by installing a new Boiler system. We work closely with a number of leading North East estate agents to provide CP12 gas safety certification to tenanted properties as well as private housing authority installations ensuring all appliances are serviced to a high standard to meet and exceed landlords’ legislative requirements. We supply, delivery and install all types of standard and decorative radiators. All domestic plumbing works are undertaken by our highly trained plumbers.